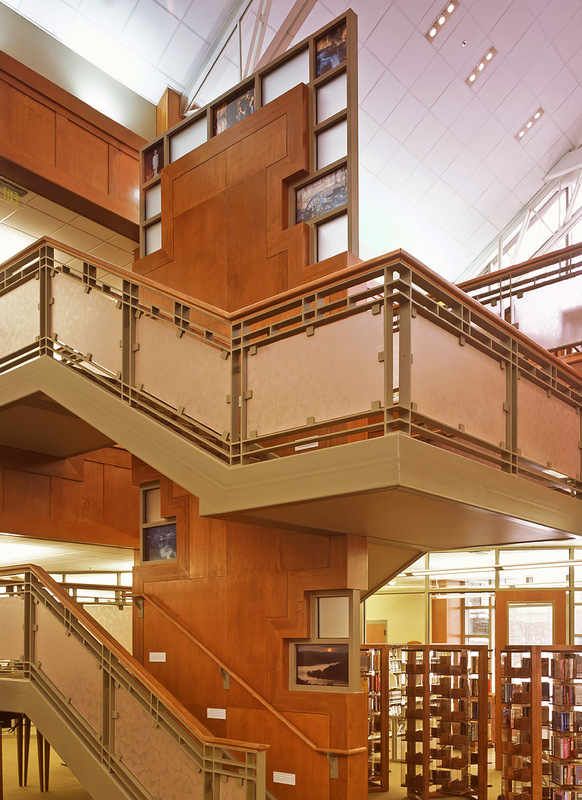 This 45,000 square foot, 2-story library serves 3,100 students from rural counties located near the Jack Daniels Distillery. 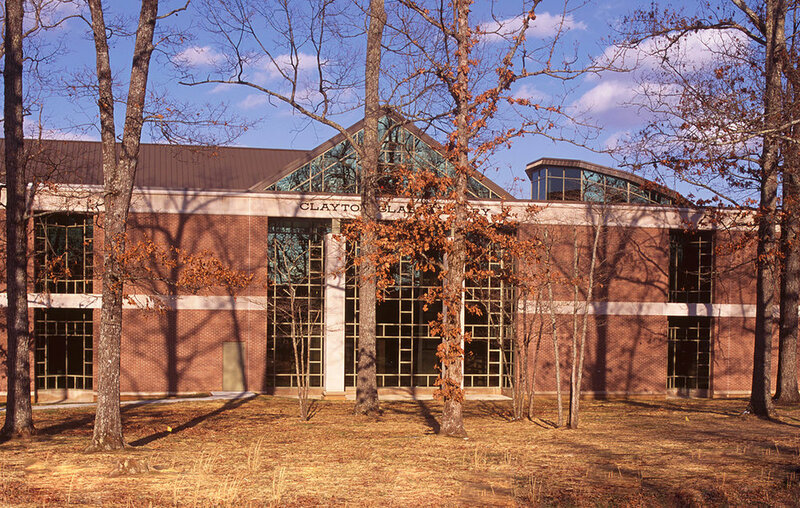 The building’s exterior blends with the campus’ 1960’s contemporary architecture of rectangular brick buildings with horizontal limestone bands and vertical floor-to-ceiling windows. Ease of movement is provided by a large open atrium that also allows visual contact for the staff. The building has two entrances. One faces out to the public right-of-way to acknowledge community involvement. The other opens to the campus’ central pedestrian spine. 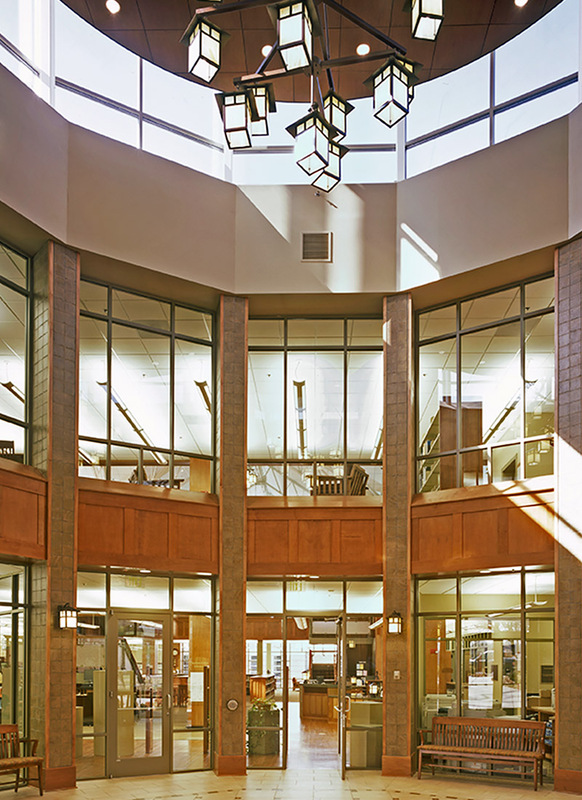 The second-story of the central rotunda is surrounded by glass enclosed library rooms which allow light from the exterior to penetrate well into the interior spaces of the structure and accentuate the open plan of the facility. The Craftsman style of the interior was selected to harmonize with the building’s pastoral setting. Accents of wood, stone and ceramic tile were utilized to provide warmth and texture. This project received a Silver award from the Excellence in American School and University magazine.